The same day Pennsylvania Gov. 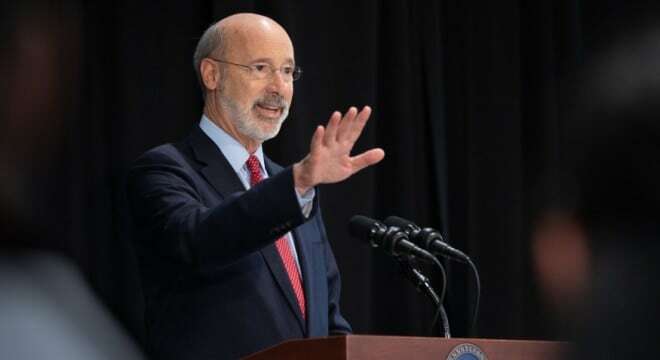 Tom Wolf inked a gun control bill into law, advocates backed by Michael Bloomberg announced a large outlay to help pave his re-election. Wolf, a Democrat who has been poorly received by pro-Second Amendment groups while in office, signed HB 2060 into law on Friday. The bill, approved by lawmakers earlier this month, steps up the requirements for the mandatory surrender of guns in some domestic situations. While applauding the action by Wolf in a separate statement, Everytown went on to announce a $500,000 ad campaign in support of his bid to stay in office another term. “The people of Pennsylvania deserve leaders with the courage to buck the NRA and champion common-sense gun laws,” said John Feinblatt, President of Everytown for Gun Safety. Facing Republican challenger Scott Wagner, who has the solid endorsement of the NRA, poll aggregators have Wolf with a significant lead heading into next month’s election. I just signed into law long-overdue reforms to keep guns away from domestic abusers. I want to personally thank the hundreds of advocates and citizens that made their voices heard and got this bill to my desk.